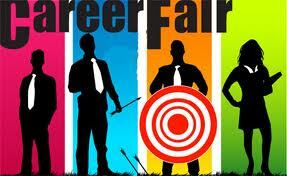 Work and job fairs are a great way to get in contact with any of the participants at the fair. Employers will often recruit new staff from events such as this, as it allows them to target their company to specific graduates or trainees. As a job seeker it also gives you a chance to see who is hiring and to learn more about a specific industry – what skills or training is required, what you will be doing in the position, and if you will be required to take on future training or qualifications. Attending job fairs can be a very helpful way to further your carer or to gain employment as a job recruiter may actually be there. Here are some tips to help you make the most of attending a job or work fair. Pencil in your whole day to be in attendance, don’t schedule other activities, and make the job fair your whole day activity. Treat it just like hourly work. Try and dress appropriately. You don’t know who you will meet on the day, maybe even a recruiter so you don’t want to look like you’ve just stepped off the beach. Likewise there is no need to dress like you are going to a wedding. Make sure you take pen and paper with you, or a small tablet – anything you can use that is fast for taking down notes as you will NOT be able to remember everything – people’s names, company names, contacts, phone numbers etc. Take your resume along, it won’t hurt to have it with you- make sure it is completely up to date, right contact details and that it doesn’t contain huge gaps. This way you can leave it with recruiters or companies you wish to target. Make sure you know what job or industry you want to work in. While a soon to be school leaver can find it helpful to see what work is available, what fields etc, if you are seriously looking for work – or a career change, know what it is you want ahead of time. On the day remain open minded, you don’t know – that career change might happen at the fair! Be open to any new ideas, from a new industry to the one you want to be in. Practice how you want to introduce yourself to people, and while that might sound strange, when under pressure you might find yourself stammering. Stay clear in your head, be confident about who you are and what you want to achieve. Be early, arrive at opening time, there will be less people around, and you will look eager to potential employers. It will also give you more time with potential employers and recruiters. Take notes to avoid any confusion later on. If an interview has been arranged, make sure you note the time, place and anything you need to bring along. Why not try and chat with some of the other job seekers, this helps give you an idea how many might want the same job you do, they might also be able to share tips and advice, or open your eyes to something you didn’t see before. It will also help give you confidence talking to strangers and discussing your plans. Your career, be it a first job, a change of careers or a new job is something you need to focus all your attention on – so it’s best to be prepared. Have you attended job and work fairs? Do you find them useful? Have you anything to share that might help our readers get ahead?